I’m Joanna, single parent to four year old Darcy, my fellow traveller! As a child and teenager, our family moved house every two years due to my dad’s job; we lived all over England and Scotland. (Maybe thats where my desire to travel comes from!) As an adult, i moved around different rental properties every six months as i become bored, though settled in the Warwickshire area in the Midlands. A 2002 long wheelbase VW T4. Since the beginning of December 2016. Our van is called Nessie. The girl i bought the van from named her, presumably as she travelled from the south coast of England up to Scotland when she bought the van. The van is also painted green, so the name Nessie is in keeping in that respect too. My fondest childhood memories are of life in the Highlands of Scotland, and we had many trips to Loch Ness, so buying Nessie felt like fate, and her name stuck! I was frustrated with rental prices, and with the fact we were tied down to one place. A few years before moving into our van, i became very interested in minimalism, and ended up with a big two bedroom house that was almost empty. I enjoyed the space, mentally and physically, but it felt like a waste of money to be paying for the space in the property, when i didn’t need it. 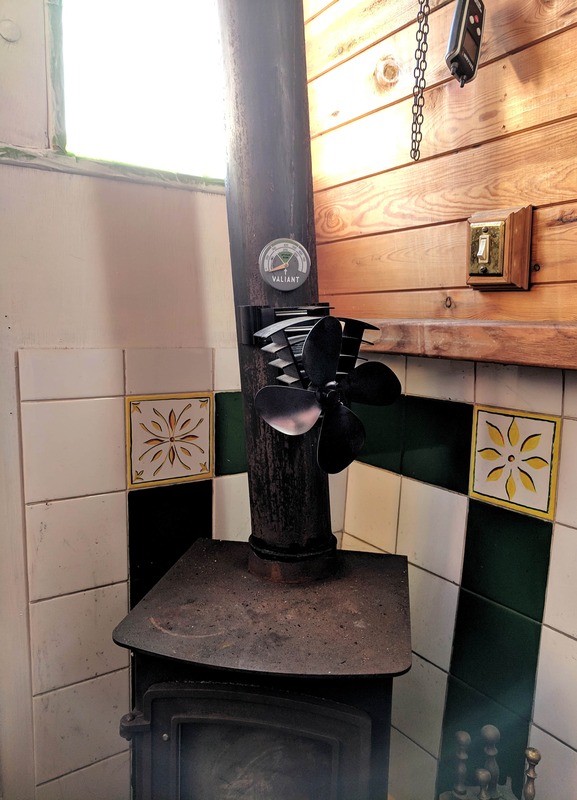 I researched alternatives and fell in love with tiny homes, but knew that it would be very difficult in the UK to pursue this as an option due to the laws, and regulations in this country. So i decided the next best thing would be living in a van! I also knew from when my daughter was a baby, that i wanted to home educate her. As a single parent, this brings with it financial challenges, and spending £800 per month on rent, plus bills, was going to be a significant preventative factor in enabling us to home educate. 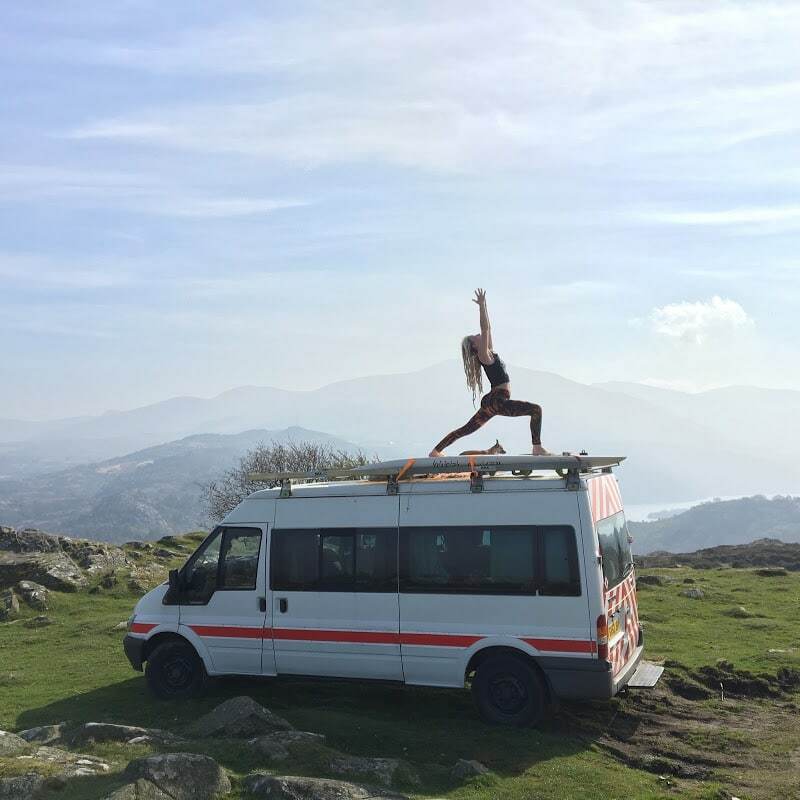 By living in a van our living costs are so minimal, and by travelling, i can provide my daughter with the education i truly want for her; time outside and in nature, learning about different cultures and countries, and generally, a childhood of freedom. Being so connected with nature, and spending so much time outside. 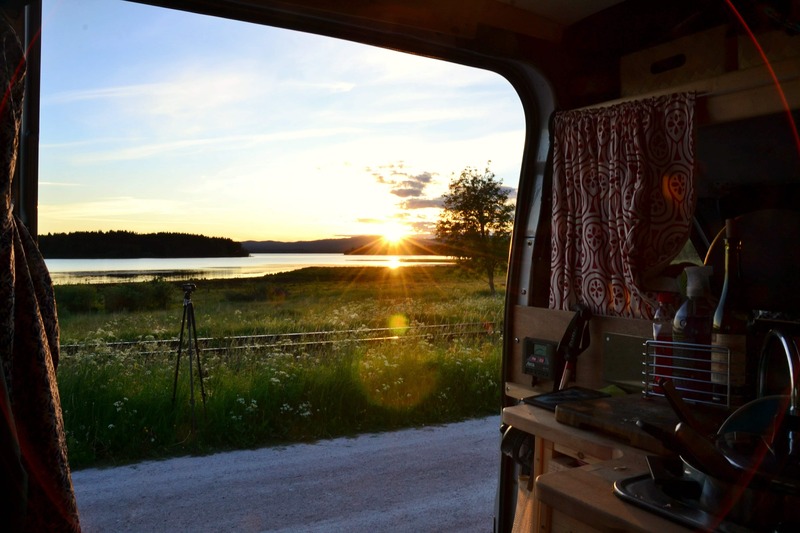 Undoubtedly, my favourite aspect of van life is watching the sun set each day. I often sit in the van amazed by the beauty of the sky, and feel so lucky that our lifestyle almost forces us to appreciate (and respect) the world around us. Freedom is another aspect of living and travelling in a van that is amazing, and by freedom i don’t just mean freedom to travel. It’s financial freedom, freedom to spend our time as we please, and psychological freedom too. 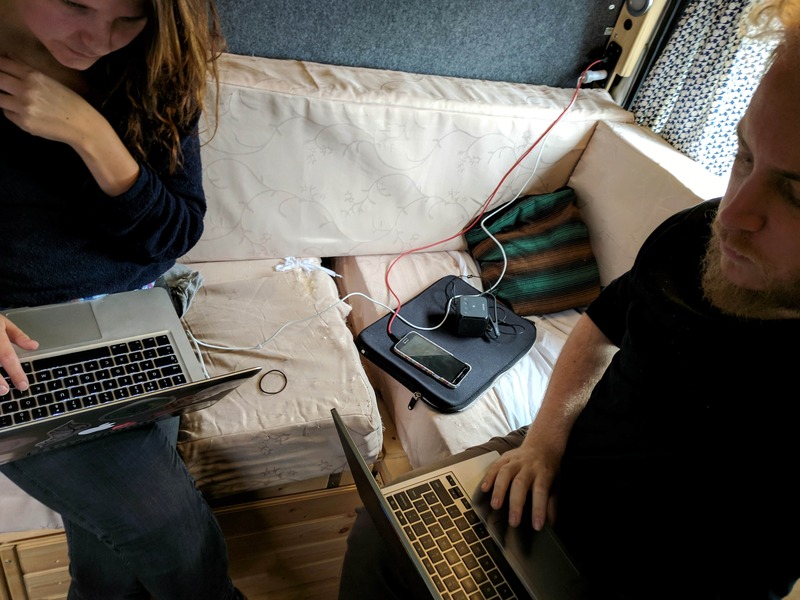 I feel so much less stressed since living in our van, and i think it largely comes down to having the freedom to live a fulfilling life without the financial, time and work constraints of modern life. Our van doesn’t have a pop top/ high top, so i can’t stand upright in the van. It’s not a huge deal, (especially as i’m short!) but it would make our van feel a lot more homely if i could move around without crouching! I am always envious whenever we are parked up near other vanlifers and i see how much easier it is to live and move around in their space. It would be an expensive addition to the van, but something i consider having done a lot. I’d probably be working in my local eco friendly baby and children’s shop, where i was working before we began travelling. I began working there during my degree in Business and Management, as i wanted to specialise in marketing. It gave me a fantastic opportunity to learn about small businesses and marketing, which has given me the confidence to create my own brand and begin a career as a freelance marketer, which will fund our travels. If it weren’t for van life, i think i would have had to put my daughter into school for at least a year or two whilst i set my business up, due to financial challenges. That would have been the hardest thing, so i feel very lucky and appreciate every day we have on the road; she really is learnings so much more than she would in a school. This isn’t very exciting, but our propex gas heater is something that makes life so much more comfortable in the van. It also gives us a lot more freedom; we can comfortably travel when the weather is colder, and visit cooler countries. It’s so nice to return to the van soaking wet and freezing cold on a blustery rainy day, and turn the heater on and be warmed up in a matter of minutes. I also have to mention our solar panel, because van life as we have come to know it would be very different without it. We only wild camp, and with the exception of one weeks camping with friends, we are yet to pay for a site for the night. I still feel astounded every night that we park up in the wildest of locations and know that the sun has provided all the energy that we need to live and enjoy life in nature. I find it incredible to think about, and feel so lucky that we can live off grid. Living a very minimalist lifestyle even before living in the van, I’m still surprised at how little ‘stuff’ we need! I’m constantly making piles in the van of things we don’t use or need! Try it! I dreamt about it for around 3 years before actually doing it, and it’s the best thing i’ve done. Even if you don’t live in your van full time, the ability to just up and leave when you have a few days free is amazing. We spent a few months taking weekend adventures before making the van our full time home, and it really helped me understand how we would live in the space, and what we would really need. It also made me realise how restorative it can be to get out into the wild for a few days! After 3 weeks, our incredible adventure around the #nc500 has come to an end. We've been blessed with beautiful weather, deserted beaches and incredible forest park ups, camped up with some fellow vaners and began our own #vanlife journey. We now have four weeks before meeting friends in Dorset, so the journey south now begins. Any suggestions for where we should travel next?